Nüwa Manila at City of Dreams Manila once again received Five Stars in Forbes Travel Guide joining other Melco Resorts & Entertainment Limited’s properties that received a collective total of 85 stars across all its properties in the 2019 Forbes Travel Guide (FTG). The elegant lobby of Nuwa Manila at City of Dreams Manila. Nuwa Manila is recognized for the second consecutive year with the Forbes Travel Guide Five Star Award. “It is with great pride and honor for Nüwa Manila to receive the prestigious Forbes Five-Star Award for the second consecutive year after 2018. This recognition reflects our colleagues’ hard work and unwavering commitment in creating luxury and signature experiences and delivering the highest standard of personalized service in all aspects, supporting the vision of Melco Resorts & Entertainment Chairman and CEO Mr. Lawrence Ho to make Melco a benchmark of luxury in the hospitality industry”, Kevin Benning, City of Dreams Manila’s Chief Operating Officer, said. 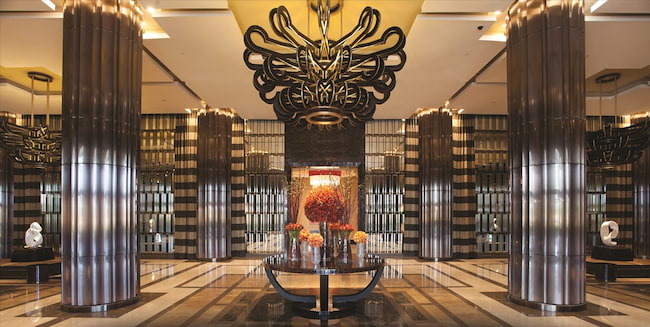 The Forbes Travel Guide, a global authority on luxury travel also recognized Hyatt Regency Manila, Nobu Hotel Manila, and Nüwa Spa Manila with Four-Star ratings, like last year. Overall, the FTG , whose independent rating system for luxury hotels, restaurants and spas is well-respected as a premium ranking in the travel and hospitality industry, accorded thirteen Melco properties with Five-Stars, and five hotels with Four Stars – with a record-breaking total of 85 stars, the top number of stars received by any integrated resort operator in Macau and Asia. 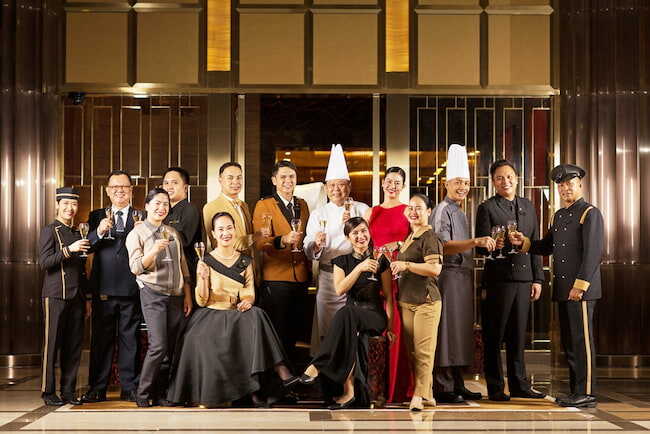 Nuwa Manila team toasts to the hotel’s Forbes Travel Guide Five Star Award for the second consecutive year. The team delivers hospitality beyond compare with their commitment to provide luxury experiences and the highest standard of personalized service. This is the tenth consecutive year for Melco’s Altira Macau to achieve the Forbes Five-Star recognition. Notably, Nüwa Macau remains the first and only integrated resort in Asia to receive FTG Five-Star across its entire portfolio of hotel, spa and dining facilities; while Studio City’s Star Tower is honored for the first time as triple category Five-Star property. Nüwa Manila, one of the three luxury hotels in City of Dreams Manila, features 254 lavishly-appointed contemporary rooms, and spacious suites and villas with dedicated butler service. Facilities include the Nüwa Spa, which provides a pampering experience in elegant therapy rooms and spa suites within the relaxing 654-sqm space; a free-form swimming pool, fitness center with state-of-the-art Precore fitness equipment. An elevated dining experience is also available at Nüwa, with: The Tasting Room, offering a Michelin-star experience with contemporary French cuisine infused with Asian influences; Crystal Dragon, known for its premium Cantonese and regional Chinese fare in a modern Oriental setting; and Breezes, a poolside restaurant and bar. The Sky Gaming Lounge, a well-appointed private space on the topmost floor is exclusively for Li Ying Hin VIPs.